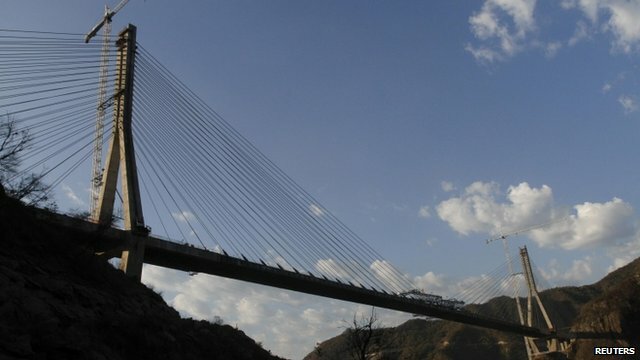 Mexico’s President Felipe Calderon presided in the opening of the world’s highest bridge yesterday. It is located on the new Mazatlan- Durango toll road and is 403 meters tall, taller than the Eiffel Tower. 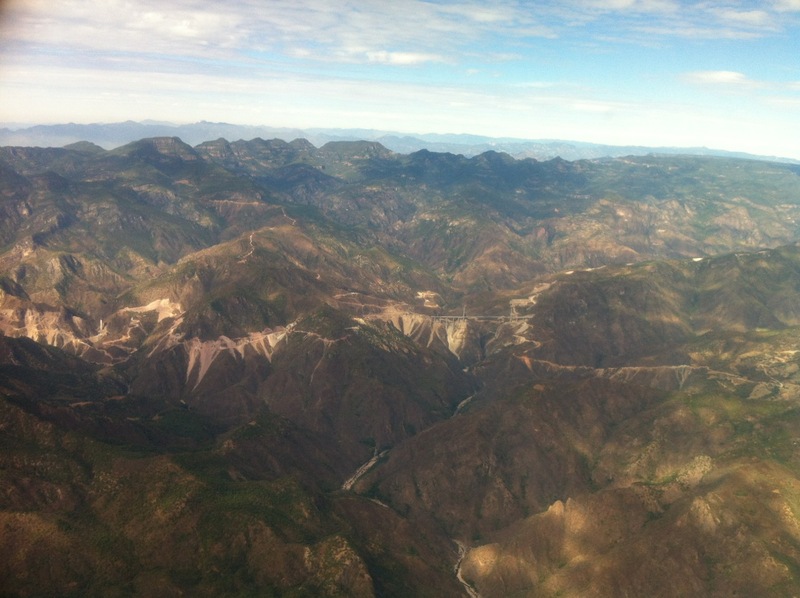 It is part of a mammoth effort to construct a modern highway to replace “the Devil’s Backbone”, a notoriously sinuous, and dangerous, road that currently carries large trucks over the highest points of Mexico’s Sierra Madre Occidental. The route will open later this year and will shorten the trip from Mazatlan to Durango by SIX hours. The route includes eight other bridges that exceed 300 meters high as well as 6o tunnels. That’s quite a feat in any country! To see more photos and a video of this remarkable accomplishment, click here. By the way, if you are flying into Mazatlan from Denver, sit on the right hand side of the plane. You might be able to see the route as you approach Mazatlan. Here is the photo that Baillons took on their Dec 28 flight to Houston. photo of bridge while enroute to Mazatlan from Houston on Dec 28, 2011 [ed] has now been added to the original post. It’s worth going back to look.